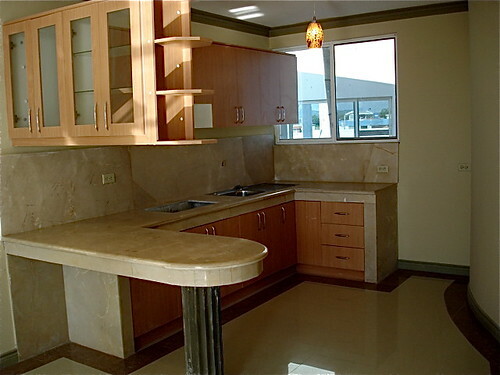 A couple of weeks ago our friend and Ecuador attorney, Dr. Andres Cordova, offered a Cotacahci condo for sale. It sold the first day of the ad. Then… it happened. I explain in a moment why this condo is available again below. 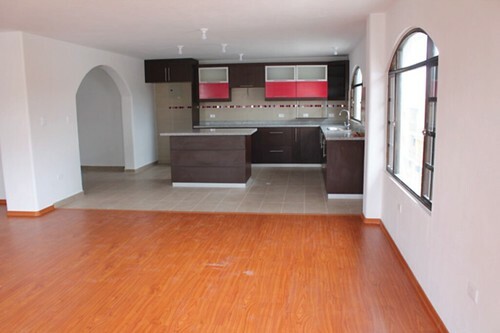 This Cotacachi condo for sale is a brand new, 3rd floor, corner, 2 bedroom, 2 bath unit in the center of the village. This unit has an open kitchen, balcony, communal and rooftop terrace access. What happened? The horror of every seller. Someone purchased the condo, put down a deposit and then the deal had to be withdrawn. So, this Cotacachi condo is once again for sale at $84,950. 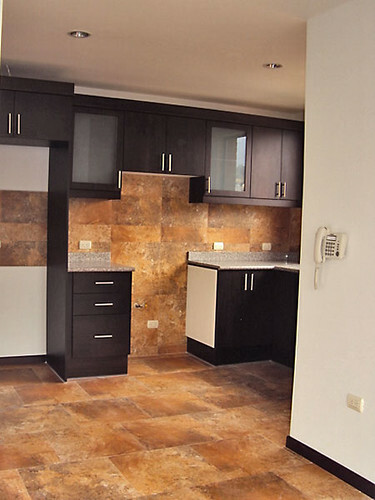 See photos and details of the Cotacachi condo here. The “Learn Spanish in Three Day Course” is now available online. Learn Spanish in a day, or a week, month or any time frame that works for you. I’m Gary Scott. Over fifty years ago I started a business that has helped hundreds of thousands of subscribers learn about investing in Hong Kong (1960s and 1970s), Switzerland, London, Isle of Man (1970s and 1980s) and across Europe. In the 1990s we took investors to Panama, Mexico and Ecuador. That’s when we realized an incredible need for an easy way to learn Spanish. See below how my wife Merri was able to create a program that allowed students to be speaking and understanding Spanish in just three days. 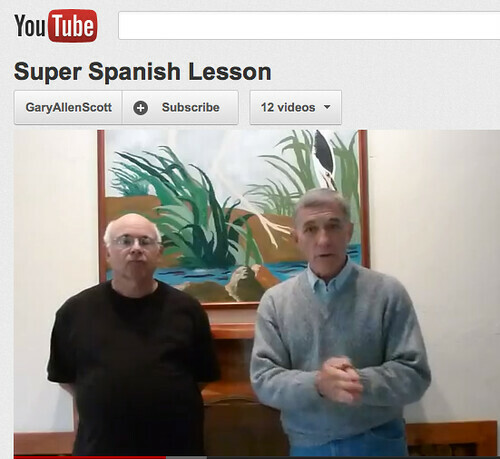 Thousands of subscribers have learned Spanish at our three day Super Spanish course. These courses have been taught across the US, in Canada, Panama, Mexico, Ecuador, Uruguay and Spain. A Super Spanish course in Florida. Read below to see how and why we are now offering our Super Spanish course ONLINE for the first time. Speaking Spanish as a second language has huge benefits. You can become one of the rare North Americans who can get along in Spanish speaking countries. You can be one of the special people who can communicate with 10 million non-English speakers in the USA. Spanish is the second most used language in the USA. There are more Spanish speakers than speakers of Chinese, French, German, Italian, Hawaiian, and the Native American languages combined. According to the Census Bureau, Spanish is the primary language of nearly 50 million people in the US. This is the largest Spanish-speaking community outside of Mexico. Only half of these speakers also speak English “very well,” and 19% do not speak English at all. You become one of a leading few when you speak Spanish. Yet there are more benefits. An article in England’s leading newspaper, the Telegraph, entitled “Why learn a foreign language? Benefits of bilingualism” (1) sum up the biggest benefit of learning a second language and increased intelligence. The article says (bolds are mine): “Learning a foreign language is more than just a boost to your CV or handy for traveling. It will make you smarter, more decisive and even better at English. You may choose to take more time using the ONLINE course to learn Spanish, but thousands of our readers have learned to speak Spanish in only three days at our Spanish courses. There is a scientific method of learning… proven and described in numerous best selling books that create educational jumps by making education natural, easy and fun. This course works because it is education without stress! A special method of learning (called Super Learning) was created and refined by the Bulgarian educational master, Georgi Lozanov. Lozanov transformed the entire Soviet educational system to such a degree that this third world country beat the USA into space. My wife Merri was lucky to be one of a handful of students outside of Bulgaria who were allowed to be taught this system in the early 1970s. She practiced this unique and remarkable form of education for four decades. It was a delight! The course has been proven again and again by the thousands who have used this system. You can read a few of the many raves we have received from students who have learned from the Super Thinking Spanish course we created. One delegate from St. Louis wrote: Hi Gary, Just ended forty-five years in dentistry last week, and I’m on to a new career. What is my new career? Still formulating, but the eye -opening,mind expanding Super-Spanish course last weekend in St. Louis surely shows me the opportunity exists to expand my horizons. Today’s excerpt of your newsletter really hit home. You do what you say you will. There are no surprises or hidden sales tricks. The only tricks are beneficial to our learning. Thank you for a wonderful experience that I was quite unable to grasp how you would pull it off. You did, however, and I look forward to other courses that you offer, and I have absolutely no doubt they also will work beneficially. Best regards, Denis Molloy. Another wrote about the Super Spanish course: Buenos Dias, here is a testimonial for Super Thinking-Super Spanish. Please feel free to use all or part in promotions for the course. In addition, you may give my email address to any prospect “on the fence” about enrolling. Yesterday, in Cotacachi, Ecuador, I finished Super Spanish. I had high expectations for the course and they were exceeded. After three days, I can speak Spanish in complete sentences. In simple conversations, such as buying groceries or ordering a meal, I can make myself understood. I think that’s incredible! Although I am far from the competence level of a native speaker, I feel I’ve taken a giant step forward in learning Spanish so that I can experience the people and culture of Ecuador. The foregoing benefits would have more than justified the time and money I invested in Super Spanish. And learning some Spanish was not the most important benefit I got from the course. Another attendee from a course wrote: “I took this incredible class a few weeks ago, and I would like to tell anyone that is interested, that it is an amazing three days of learning with lots of laughs included. You leave everyday wanting to learn more and are so excited to do so. “They made learning Spanish easy and fun in a very relaxed, comfortable atmosphere. I would definitely recommend this course. Even if you know some Spanish, this helps make it easier because of the less stress that no verb conjugations gives you. This gives you more confidence in yourself to try and speak it more. The first tactic is to use Baroque music to create Relaxed Concentration in the learning process. 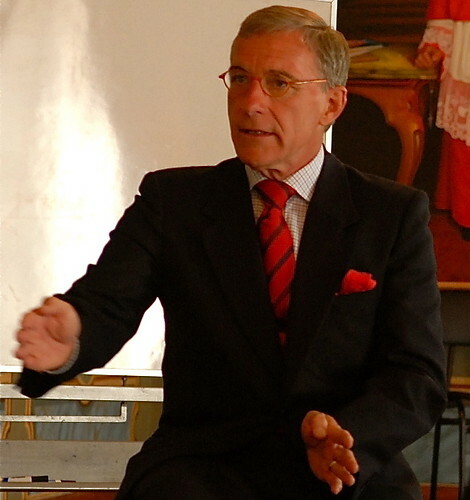 At least three best selling books, “Superlearning”, the “Mozart Effect” and “Superlearning 2000” have revealed insights about how to learn and think more powerfully based on systems drawn from the Bulgarian educational master, Dr. Georgi Lozanov. Merri was among just a few who learned directly from Lozanov. Super Spanish relaxed concentration session. You gain six valuable ONLINE Relaxed Concentration sessions in the online course that is delivered via the internet. Lesson six gives valuable connectors and the seventh lesson triples the Spanish capacity with three words for “yesterday,” “now” and “tomorrow”. Plus the system is Impro-Dynamic. This means your Spanish keeps getting better even though you do not seem to be studying… practicing… or speaking Spanish. I was amazed by this as I traveled back and forth from the USA to Ecuador. The longer I was away from Ecuador… the better my Spanish became. My second language was automatically improving. The self improving feature comes because you learn to create Spanish sentences rather than remember them. The portion of the brain that creates is more powerful than the portion that recalls. When your mind creates something… it owns it! You do not have to remember . During the course you learn 4005 Spanish words that you already know. This eliminates the need to memorize 99% of Spanish words. When the course ends… the mind keeps working… and creating… so next time you begin to speak Spanish you’ll be surprised . You improve even though you have not actively worked on your lingual skill. Due to the difficulty of getting groups together to learn this valuable technique, we created an online program for subscribers to use the Super Spanish course at home. The normal three day course fee is $499 ($749 for a couple). The ONLINE course is available at the highly reduced price of $79. I’ll be in touch personally via email with each person who signs up for this course to see how it works or what is required to make it better. Once this test is complete, we plan to offer the program on a larger scale and at a much higher price. Nadine wrote: “Just spent the last 3 days in the most wonderful learning environment learning Spanish. What an amazing learning experience!! First day out of class and I could not stop thinking in Spanish WOW!! I am amazed by how much I learned, retained and how much more is showing up now that I am out of class. And the best part is THERE WAS NO STUDYING!! Indeed this is Super Thinking!!! I would highly recommend this to anyone that has ever had a desire to learn another language or learn anything in record time. And a few days after that …. As I went through my day, just hanging out with my son, I could see myself starting to think in Spanish. At first I thought it was amusing but as it continued and increased I thought “My goodness this is really remarkable amazing” It was really an effortless unfolding. I wasn’t at any point “trying” to think in Spanish, just words I knew would fly across the screen in my mind. And then this afternoon, my son cuddled up on the couch to watch some cartoons on his ipad and was watching Peppa Pig in Spanish…hmm coincidence? I think not, I’m radiating Spanish so much that my son is being influenced! Thanks a million again. This weekend the best learning experience of my life!! 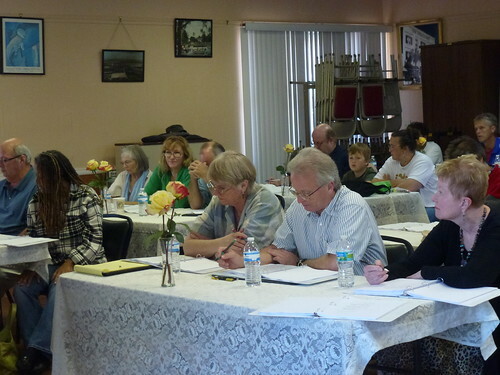 Twila said: “This class provided a very refreshing and relaxed way of learning. The atmosphere felt very safe to say the words you were practicing. I learned a lot in a way that will make it easy to apply. Starting with conversation is way more fun. How quickly you can learn! It was a great group, great instructors and great stories. 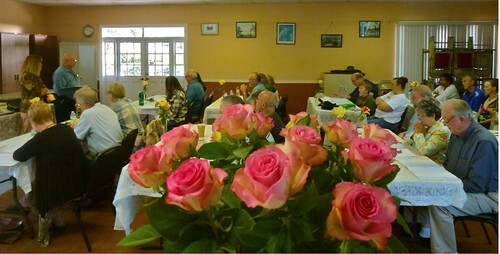 Super Spanish students at this course ranged from nine to over eighty years old. The wife of one couple who attended explained how after just three days her husband ended up as an accidental translator. She wrote: Gary, I have sent Merri a couple of messages, and a story of Mike being able to translate yesterday for a Spanish person who couldn’t understand what a man was trying to tell him! The video below shows a super fast way to gain the basics so you can communicate in Spanish in just three days. Click here for FREE Super Spanish video. Still can’t believe you can learn Spanish in a short time? You have nothing to lose but to try. The ONLINE Super Spanish course has our, full satisfaction or money back, guarantee. Try Super Spanish for 60 days. If not fully satisfied, simply let us know for a full refund. 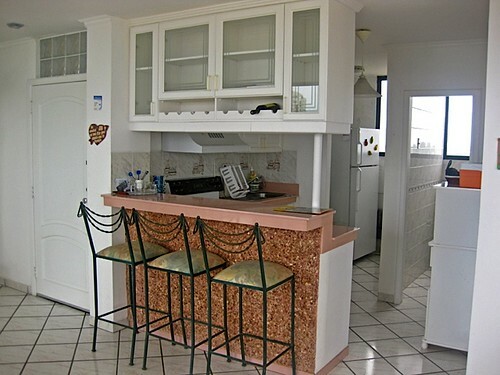 See why this Ecuador beach condo is available for only $69,000. When Merri and I arrived in Ecuador 20 years ago, there were incredible bargains on the beach because there had previously been a serious earthquake there. This is happening again. Our friend and Ecuador attorney Dr. Andres Cordova just sent me this note. 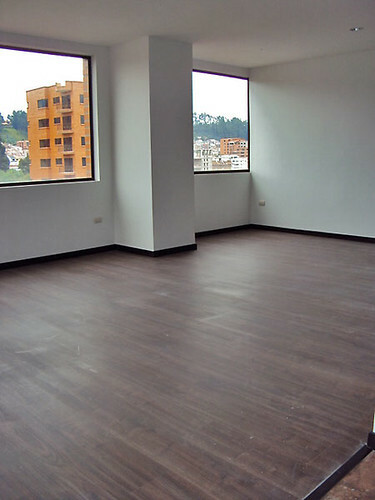 Gary, there have been some excellent investment opportunities in real estate rising in Ecuador. The earthquake crisis is creating some truly good deals. 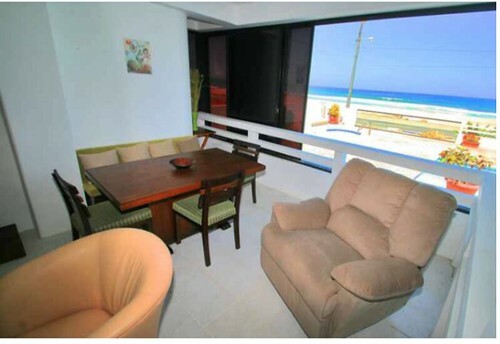 For example this fully furnished beachfront condo of approximately 870 square feet (87m2) is offered at a negotiable asking price of just $69,000. The owners need to sell with urgency. The condo comes fully furnished. This is a turnkey opportunity with parking and storage. This is a steal that I assume will be sold quickly. It could be rented and sold in a few years likely at a rather good profit. I am thinking if perhaps you could do a newsletter about the condo opportunity. It would be an opportunity to mention some interesting opportunities and dynamics here. I can have a presentation drafted today. When you write, you can work anywhere. 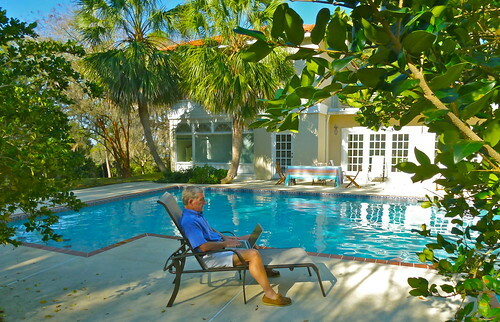 Here I am working poolside in the winter, at our Florida farm. Here I am with our hound Ma, working during the summer at our North Carolina farm. Learn how to earn everywhere, while living anywhere you choose. I have been able to earn by writing in Hong Kong, England, the Isle of Man, Dominican Republic and Ecuador to name a few of the place I have lived. Everywhere I have been… too numerous to share here, I have been able to work. All I need is my laptop. That’s all you need too… a laptop to be free! Before computers, a pencil and pad did the job. Freedom is just one benefit you can gain from writing. Another benefit is income. Writing has brought me both our farms, free and clear… plus a lot more. Another good example of earning potential is my friend Hugh Howey. He was working for $10 an hour in a book store when he self published his novel Wool, typing in a storage room during his lunch breaks. Soon he was earning over $100,000 a month on Amazon.com. This helped secure a six-figure book deal from Simon & Schuster, and an option for film by Ridley Scott, director of Blade Runner and Alien. That’s what he’s doing now. 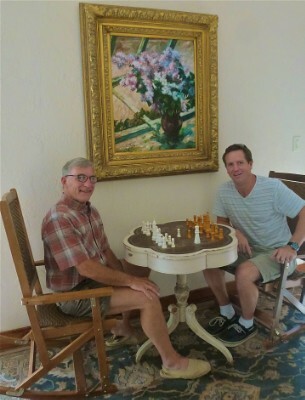 Sometimes Hugh and I get together at my farm and play chess (he beats me badly). Writers like High are great inspirations. A couple of years ago Hugh left Florida, and moved to South Africa. He had a sailing catamaran built for him and now can sail the world while he continues to write. Hugh explained it like this: And that’s the miracle of working as a writer: I can do it from anywhere and everywhere. The past few years, I’ve done a lot of writing from airplanes and airports while on business trips abroad. SAND was entirely written overseas while traveling through seven different countries; I think it’s a better story because of those inspirations. In upcoming years, I may be writing near your home port. Hugh’s a super star writer and his success could not happen to a more deserving and talented person. He pours enormous energy into being worthy of his readership. But you do not have to be a million dollar a year earner or a traveler to benefit from writing. The good news is… you do not need a huge success to have a rich and fulfilled lifestyle. Self Publishing can bring you a life that most people only dream of, as a journeyman writer, instead of a super star. May I hastily add that the path to stardom begins as a journeyman… so the journeyman’s path brings success without stardom… but can also lead to stardom. What most success stories like Hugh’s rarely explain is the many hours of writing that was devoted before their self published book sales soared. Hugh, like most writers were journeymen first. Stardom came later. Here are sevens secrets that can help you become a journeyman writer. The secrets are a writer’s armory of tools that allows almost anyone to create successful publications for income, freedom and fulfillment. Take Merri’s and my publishing business as an example. Merri and I are not writing stars. We are journeymen who have for more than 40 years, year in and year out, earned solid income writing and self publishing dozens of publications about multiple subjects. Some years that income has been more than solid… over a million dollars. Yet in terms of stardom, we are hardly known. In a moment you’ll see why that’s fine for us and probably will be for you too. Merri became involved in self publishing over 40 years ago… first helping a veterinarian publish a book on a very specific market… animal acupuncture. Then she showed a needle point artist how to sell more books to an even more specific audience… “needle point enthusiasts” about her needle point work to an audience larger than the population of the city she lived in. This led Merri to eventually become Executive Editor of an award winning magazine in Florida. My story allowed Merri and me to work and live from Hong Kong to London to Europe to Eastern Europe, then the Caribbean and then Ecuador… making millions in the process of following our adventures… having fun… while helping a large readership adapt to a rapidly changing world. That’s what self publishing can bring, profit, adventure and fulfillment, a great feeling of worth and wonder. Self Publishing has created exactly the lifestyle we desire allowing us to span the world and work with meaning and purpose. Self Publishing has become a new business art form. The seven secrets can help you start your own self publishing business now. Everything in publishing is new and exciting and changing. Publishing is being recreated by the wonderful power of destructive technology. Everything is new… except the seven secrets. Change in the publishing industry is disturbing many. We love this evolution due to these seven secrets we call the 7Ps. The 7 Ps are so fundamental to writing and publishing that new technology enhances rather than reduces their power. The First P is Passion. Whatever your passion, you can immerse yourself in it AND create income with self publishing. This can be your direct ticket to the kind of fulfillment you’ve always wanted. Whether you want to travel the world or live as a recluse, work 12 hours a day or not work much at all, you can set your schedule to succeed, if you’re willing to learn these seven secrets. You can start part-time with any dream, passion, and budget. Once you’ve created a product, you’ll enjoy the “multiple effect” of producing profits over and over again. So the question is… What do you love to do? The pamphlets contained solid information, but were simple 5″ x 7″ brochures with drawings and explanations. He sold them with a rack to chiropractors, who put them in their offices for patients to read. These little self-published items sold year in and year out for decades. There are thousands of ideas of this sort that can lead to big business. It’s just a matter of defining and then acting on your passion. Although I can work when I please and go where I wish, for me the most important reason for being a publisher is the satisfaction it brings. I love the projects I take on, so work doesn’t feel like, well… work. What do you love? If you love golf, then you can write and sell publications about golf. Love travel, fishing, dogs, dolls, or art? Write and sell publications in these fields. Are you concerned about crime, war, poverty or environmental issues? You can publish information products that help reduce these concerns. Would you like to help the world be a more spiritual place? Publish a newsletter, write a book (or hire someone to write it for you), record a tape… publish something that enlightens people. Whatever your passion, you can immerse yourself in it and earn income by publishing for ereaders, print on demand, CDs, lists, bound books, or any format you choose. Be immersed in your passion and get paid well for it. This is why stardom is not the main goal for most writers and self publishers. Extra income, more freedom and fulfillment are usually more than enough enough. 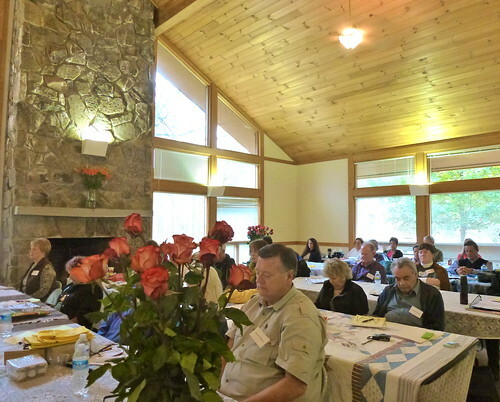 The first time I exposed others to the secrets in Self Publishing was in a weekend “Writer’s Camp” seminar. We offered the camp for $1,500. 80 delegates enrolled. People from all walks of life attended—chiropractors, businessmen, investors, doctors, realtors, inventors, airline pilots, engineers, and housewives. Merri and I were so overwhelmed by the response, we decided to make it available to a larger audience. We created a written course based on our current self publishing activity called “Self Fulfilled – How to be a Self Publisher.” Then we recorded the weekend “Writer’s Camp” seminar. Thousands have used the course as it has evolved over the decades. You can receive both the written course and the recorded weekend seminar, in an MP3 file, in a special “Live Well and Free Anywhere” program I am making available to you. The normal fee is $299 for the written course and $299 for the recorded workshop. I’ll send you both the course and the recorded workshop and my course “International Business Made EZ (also $299) all for $299. You save $598. We are so confident that you’ll gain from this offer that if you are not fully satisfied, simply email us within 60 days for a full refund . These courses are not theoretical. They describe, step-by-step, how Merri and I built a million-dollar international business and how we are running this self publishing business right now. We use the 7Ps today just as we did four decades ago to create a strong annual income. This correspondence course is for those who would like their own international self publishing micro business for fun and profit. If you want fun, freedom, extra income and fulfillment with your own full or part time writing or want to build your existing business, by writing to sell you can profit from this course. The course can help who want their own business or who want to have a business together or a family business. This is the perfect course for those who can no longer find employment, who are looking for ways to earn abroad and who wish to retire and supplement their income. Whether you are retired, an investor, chiropractor, doctor, dentist, professional or already own your own business, this offers another way to make money, to turn your passion into profit. We guarantee that we have shared all we know to help you start and run your own international business. Enjoy and live a life of following your Passion to Profit… through writing. Here is a special offer. We provide two emailed courses “Self Fulfilled – How to Write to Sell and be a Self Publisher” and “International Business Made EZ”. We include the “Self Fulfilled Writing and Self Publishing Course” because there are two reasons to write, when you have something to say or when you have something to sell. In this day and age many of us want to do both, make a statement that makes the world a better place and earn something extra in the process. Whatever your passion, however you do business, chances are you’ll be writing either to create a product or to sell a product. You save more than $598 because you also receive a recorded webinar conducted by our webmaster David Cross (at no extra cost). David has been our webmaster since our website began in the 1990s. He is Merri’s and my business partner. We could not run our business as we do without him. Learn the tactics we use in our web business that condenses 27 years of practical experience about search engine optimization, and writing for search engines. For the last 27 years David has worked with companies large and small – IBM, Agora Publishing, AstraZeneca and many small business owners. He has worked in 22 countries, and lived in six of them. David’s clients span the globe and represent companies and charities both large and small. From corporate giants to small, one-woman businesses and everything from finance, healthcare, publishing, technology, real estate, veterinarians, alternative health centers and everything in between. David is an essential part of our web based business. As Senior Internet Consultant to Agora Inc. in Baltimore, MD, he worked closely with Agora’s publishers and marketers and – over a 7-year period – helped to propel Agora’s online revenues from around $20 million to well over $300 million. David’s webinar will help you gain benefits in your micro business that large internet marketing companies use. In this practical recorded workshop you will learn valuable skills to help your micro business. There has never been a time when the opportunity for small businesses abroad has been so outstanding. Expand your borders now! Increase your economic security freedom, independence and success. If you are not fully satisfied that this offers you enormous value simply email us for a full refund within 60 days. You can keep all three courses as our thanks for giving our courses a try. You also receive a report “How to use Relaxed Concentration to Brainstorm Business Ideas” and a recorded workshop “How to Become and Remain Rich With Relaxed Concentration” at no additional cost. Plus you get more in the program. You receive regular writing and self publishing updates for a year. Businesses usually need to evolve. Merri and I continue to publish and have our independent businesses. Some basics have remained for decades, but new strategies occur all the time throughout the year. We’ll be sending along updates that share our most recent experiences as we learn and continue to grow our international micro business from Smalltown USA. Any updates to any of the courses, workshops, reports or recordings for a year. We are so confident that you’ll gain from this offer that if you are not fully satisfied, simply email us within the first three months for a full refund . Order “Self Fulfilled – How to Publish to Sell” and a quarter of update lessons $79. Click Here. Order “Self Fulfilled – How to Publish to Sell” and a full year of update lessons $299. Click Here. See success stories from Self Publishers and a few who have attended the “Writer’s Camp” that you will receive on MP3. Begin your new life with this incredible luxury condominium, in one of the best known and most desired buildings in Manta! 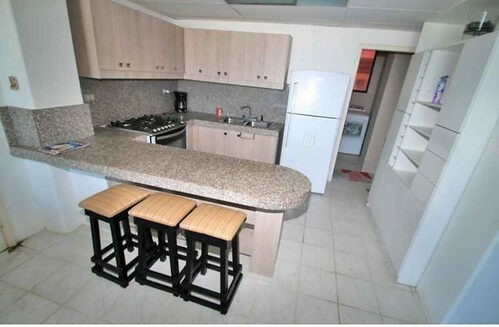 This 3 bedroom 2 ½ bath condo has 152 m2 of space, or approximately 1636 sqft, and is being offered fully furnished. Located on the 9th floor, just one under the Penthouse, the views are simply stunning! From your balcony you can see the cruise ships coming in, sit back and enjoy the amazing sunsets, or even watch the whales just offshore during whale season! 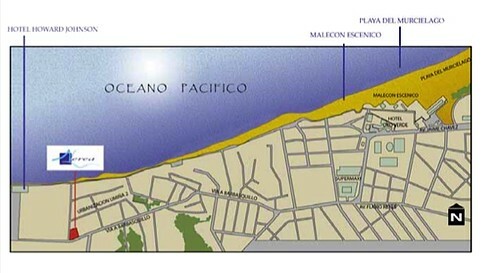 Nestled in the heart of Murcielago Beach, this ocean front condominium is only steps from the Malecon offering several beachfront shops and restaurants, as well as within walking distance to the Supermaxi, which is the nicest grocery store in the city. Most everything you could ever need is within walking distance or a $2 cab ride. The local Paseo Shopping Mall is only about 10 minutes away by taxi if you need other specialty stores or even to enjoy their full cinematic movie theater. 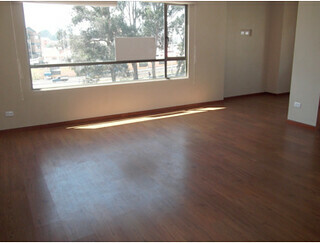 This unit is the only unit currently for sale in the building so don’t delay! Call today to make your dream of beach front living a reality! We DO NOT investigate properties when they are advertised so be sure to complete your due diligence. 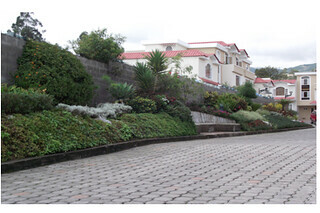 Always use an independent Ecuador attorney who represents you (not the seller) when you buy real estate in Ecuador. We also recommend that you rent, become familiar with Ecuador before you buy. Going to Ecuador? Be sure you speak Spanish before you go. 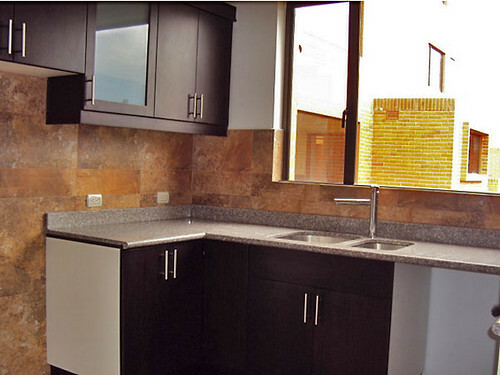 See an Otavalo Condo for Rent below. First, here is a multi dimensional investing and business idea. Buy Ecuador Haciendas, farms and rancheros and improve them. Ecuador Hacienda Rosaspamba we bought to fix up. A New York Times article shows how entitled “Restoring Ranch Land for a Profit, and a ‘Trout Dividend’ by Sarah Max shows why this is a growing trend. Here is an excerpt: Jay Ellis, founder of the private equity firm Sporting Ranch Capital Management uses the logic that sporting ranches near desirable destinations are a rare commodity in association with T. Boone Pickens, the billionaire oilman. The first fund raised $30 million among a dozen limited partners and is now fully invested with five properties in Colorado, Idaho, New Mexico and Utah. Mr. Ellis is planning to put all five ranches on the market in 2014 and is confident that these “pristine trophy properties” will sell quickly. Mr. Ellis is now raising a second fund, for $50 million. As the number of wealthy expats moving to Ecuador grows this idea will increase in potential. 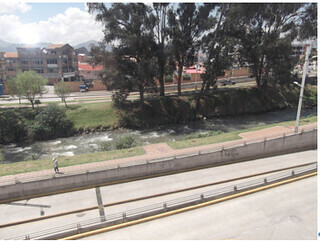 An Otavalo condo for rent is shown in the paid advertisement below. 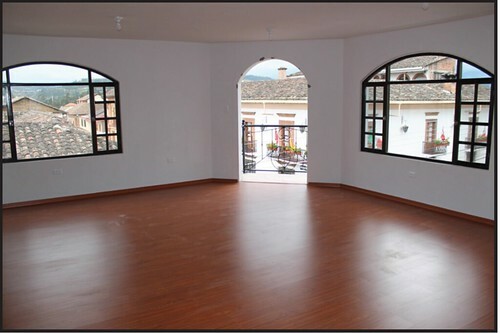 Property Overview: Conveniently located newly-constructed home off the Pan American Highway in Otavalo, Ecuador, with 1400 square feet has all the amenities for a short-term or long-term rental. 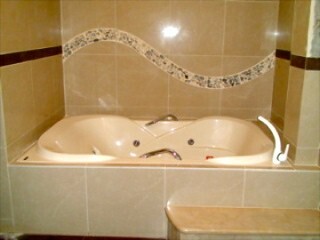 It comfortably accommodates 6 adults. Only 1 ½ hours North of Quito, Otavalo is a must see destination for anyone wanting to experience South America at its best with an upstairs den, 3 bedrooms and 2 full bathrooms, The open floor plan downstairs has a spacious living room, dining room, fully equipped kitchen, social half-bath, outdoor enclosed patio with grill and outdoor wash area. Custom décor features local Andean artisans. This is the perfect place to relax and enjoy a once in a lifetime vacation or explore the region to become a future member of the ex-pat community that is settling in this area of Ecuador. 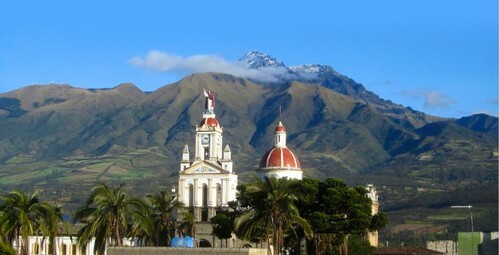 Area Overview: Otavalo is in Ecuador’s Northern Highlands and is approximately 20 miles north of the Equator. 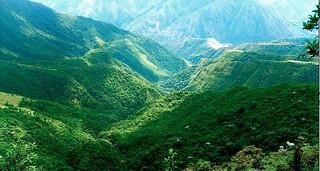 The elevation is 8,641 feet (2,633 meters) and provides a perfect year-round climate. Daytime temperatures generally range between 65 and 75F (18.3 – 23.9C). Light jackets or sweaters are recommended for mornings and evenings. Prepare to dress in layers especially if you want to venture out and explore. Other amenities: Cable TV, DVD, local telephone, WiFi port for internet access ( WiFi services must be pre-paid by renter), water heater, refrigerator, gas stove/oven, microwave, cooking utensils, linens/blankets, towels and gated on-site security. Grocery stores are conveniently located. On-site English speaking Manager. Areas of interest: Otavalo has the world’s largest indigenous market featuring native artisans’ woven tapestries, clothing, ceramic Inca figures, wood carvings, paintings, alpaca rugs and jewelry. The plaza is an ethnic labyrinth of vendors in their traditional dress. Nearby is San Pablo Lake which has wonderful restaurants and outdoor activities including miniature golf, hiking, horseback riding and fishing. Also within a short drive is Cotacachi and is renowned for its leather crafting while San Antonio de Ibarra has artisans that transform wood into beautiful works of art. This is a carved-out piece of heaven in the Imbabura Province. Pamper yourself for a morning or afternoon at the world renowned La Mirage Garden Hotel & Spa for a spa treatment or massage. Restrictions: No Smoking, No Pets, No Student Groups and Adults only. Pay pal is also accepted. 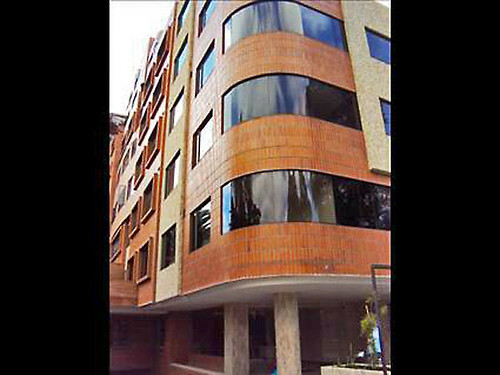 Stephen Milden head of the Ateam Ecuador in Cuenca sent this listing for a Cuenca Ecuador Condo for Sale – $75,000. This small but delightful condo is 807 sq. ft and is located in the Puertas del Sol area which is only minutes outside of the city center but easy walking distance to supermarkets, pharmacies, banks and general convenience stores. Located on the top floor, the apartment is right in front of the Tomebamba River and has a great park for walking, exercising or just sitting and listening to the river. The living, dining and kitchen areas of this apartment are of a reasonable size and all located to the front of the building with a good view of the river from the windows. To the back of the apartment are the bedrooms with the master including a full ensuite bathroom. 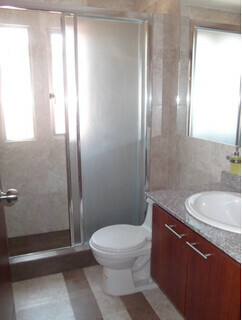 The apartment also includes another full bathroom that can be used by guests or the occupant of the second bedroom. There is parking space to the front of the building if needed and security locks on the entrance doors. 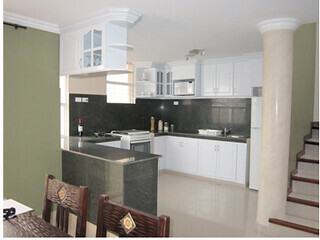 The kitchen features granite countertops and wood cabinets. We DO NOT investigate properties when they are advertised so be sure to complete your due diligence and always use an independent Ecuador attorney who represents you (not the seller) when you buy real estate in Ecuador. Also we want to be sure that you check the claims of the developer/seller and make sure that you are satisfied. 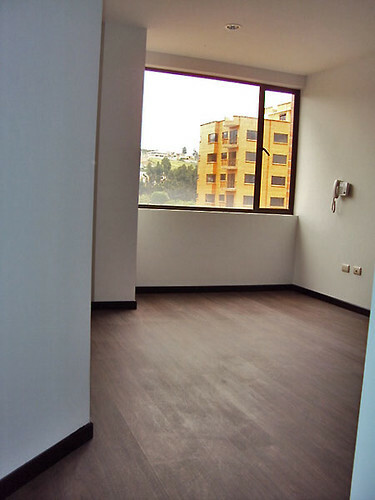 We also recommend that you rent before you buy and become familiar with Ecuador. Old Accord Creates New Profits – Multi Currency Investments. Earn more with multi currency stock market breakouts. Learn how to improve the safety of your savings and investments by selecting good value and diversified investments in a multi-currency portfolio. Few decisions are as important to your wealth as the value of the markets and currencies you invest in. This has been our area of expertise since the 1970s and we have worked with and advised some of the largest currency traders in the world. Gain Protection First – Against the Dollar’s Purchasing Power Loss. In 1913 the The Federal Reserve Act created the Federal Reserve Bank to protect the purchasing power of the US dollar, which has since lost about 94% of its purchasing power. 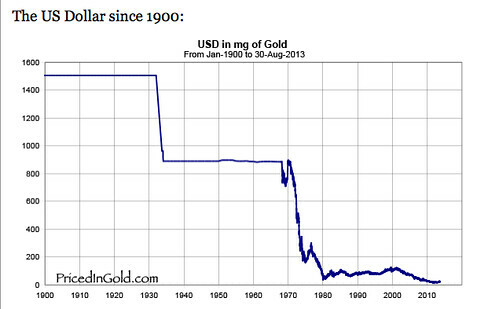 Here is its price compared with gold since 1900. The Fed has let the dollar lose most of its strength plus has allowed interest rates to fall so low, that safe investments cannot keep pace with the drop in purchasing power. Many investors have forgotten about the risk of a falling dollar because the greenback has been strong for the past five years. This temporary dollar strength came after the great recession of 2009 just as there was temporary dollar strength after the great recession of the 1980s. Then about six years after the recession, an agreement was made by major governments to weaken the dollar. There was a severe global economic recession affecting much of the developed world in the late 1970s and early 1980s. The United States and Japan exited the recession relatively early, but high unemployment would continue to affect Europe and the UK through to at least 1985. 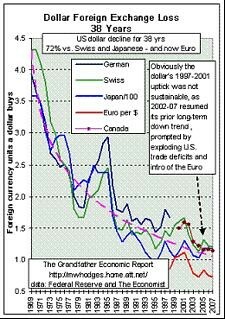 As a consequence between 1980 and 1985, the US dollar had appreciated by about 50% against the Japanese yen, Deutsche mark, French franc and British pound, the currencies of the next four biggest economies at the time. Then the governments reached an agreement and exchange rate values of the dollar versus the yen declined by 51% from 1985 to 1987. Now the world is again in the same place. The recession is over. Europe is a bit behind in recovery and the dollar is higher than before the recession. There is no reason for the greenback to be strong. The agreement in 1985 was called the Plaza Accord. Over just two years the greenback dropped nearly 50% versus other major currencies. The next accord will generate great profits for those who know what to do while it ruins the purchasing power of dollar back investments. The strong US dollar and low interest rates have created one of the biggest stock and multi currency breakout opportunities in history. Learn how to create a plan to profit from multi currency shifts ahead. One reason for the potential gains is that stock markets and currency values are cyclical. Due to low interest rates created by the 2009 economic downturn, the US and a few other equity markets have risen to some of their highest prices, ever. These markets offer very poor value now. The steep valuation creates incredible profit potential but also hides some enormous risks. Learn how to develop an investing strategy based of earnings, cash flows, dividends and book values to increase potential for profit and reduce the risks. Over the history of US equity markets, the price of overall markets have risen about 9.1 percent, respectively, compounded annually. Yet over more than a hundred years of stock market activity, a majority of the profits have come from just a very few dramatic breakouts. Equity markets are ruled in the short term by emotions that create unpredictable ups and downs. Numerous fears of defaults, worries of double dip recessions, high unemployment, concerns about fiscal cliffs, hold investors back. Yet global population growth and advances in production and prosperity are relentless economic fundamentals that increase value. When fear holds back a a fundamentally rising value, rising profit potential grows. Values increase as prices stagnate. Then markets break free and rocket upwards creating wealth, prosperity and growth. Find out which breakouts are likely to take place next. Stocks rise from the cycle of war, productivity and demographics. Cycles create recurring profits. Economies and stock markets cycle up and down around every 15 years as shown in this graph. 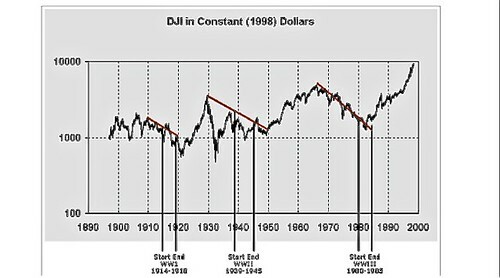 The effect of war cycles on the US Stock Market since 1906. Bull and bear cycles are based on cycles of human interaction, war, technology and productivity. Economic downturns create war. Here is the war stock cycle. Military struggles (like the Civil War, WWI, WWII and the Cold War: WWIII) super charge inventiveness that creates new forms of productivity…the steam engine, the internal combustion engine, production line processes, jet engines, TV, farming techniques, plastics, telephone, computer and lastly during the Cold War, the internet. The military technology shifts to domestic use. A boom is created that leads to excess. Excess leads to correction. Correction creates an economic downturn and again to war. Learn how the Cyber War (WWIV) may change the way we live and act and how this will affect currencies and investments. * How to easily buy global currencies, shares and bonds. * Trading down and the benefits of investing in real estate in Small Town USA. We will share why this breakout value is special and why we have been recommending good value real estate in this area since 2009. * What’s up with gold and silver? One session looks at my current position on gold and silver and asset protection. We review the state of the precious metal markets and potential problems ahead for US dollars. Learn how low interest rates eliminate opportunity costs of diversification in precious metals and foreign currencies. * How to improve safety and increase profit with leverage and staying power. The seminar reveals Warren Buffett’s value investing strategy from research published at Yale University’s website. This research shows that the stocks Buffet chooses are safe (with low beta and low volatility), cheap (value stocks with low price-to-book ratios), and high quality (stocks of companies that are profitable, stable, growing, and with high payout ratios), but his big, extra profits come from leverage and staying power. At times Buffet’s portfolio, as all value portfolios, has fallen, but he has been willing and able to wait long periods for the value to reveal itself and prices to recover. 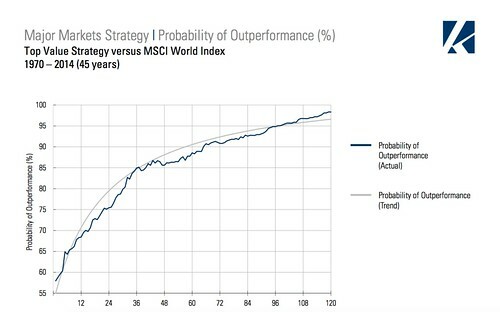 This chart based on a 45 year portfolio study shows that holding a diversified good value portfolio (based on a good value strategy) for 13 month’s time, increases the probability of outperformance to 70%. However those who can hold the portfolio for five years gain a 88% probability of beating the bellwether in the market and after ten years the probability increases to 97.5%. Time is your friend when you use a good value strategy. The longer you can hold onto a well balanced good value portfolio, the better the odds of outstanding success. Learn how much leverage to use. Leverage is like medicine, the key is dose. Buffett leverages his portfolio at a ratio of approximately 1.6 to 1. This rate of expansion by the way is called the “Golden Ratio”. It is a mathematical formula that controls the growth of most natural things; trees, the shape of leaves, the spiral of shells, as well as the way economies and societies grow. We’ll sum the strategy, how to leverage cheap, safe, quality stocks and for what period of time based on your circumstances. Learn to plan in a way so you never run out of money. The seminar also has a session on the importance of having and sticking to a plan. See how success is dependent on conviction, wherewithal, and skill to operate with leverage and significant risk. Learn a three point strategy based on my 50 (almost) years of investing experience combined with wisdom gained from some of the world’s best investment managers and economic mathematical scientists. Enjoy investing more with slow, worry free, good value investing. Stress, worry and fear are three of an investor’s worst enemies. These are major foundations of the Behavior Gap, a trait exhibited by most investors, that causes them to underperform any market they choose. The behavior gap is created by natural human responses to fear. The losses created by this gap grow when investors trade short term under stress. Learn how to put meaning into your investing by creating profitable strategies that combine good value investments with unique, personal goals. Learn how to span the behavior gap. Behavior gaps are among the biggest reasons why so many investors fail. Human evolution makes fear the second most powerful motivator. (Greed is the third.) Fear creates investment losses due to behavior gaps. Fear motivates us more strongly than desire. By nature investors are risk adverse, when they should embrace risk. Purpose is the most powerful motivator, stronger than fear and greed. One powerful way to overcome the behavior gap is to invest with a purpose. Combine your needs and capabilities with the secrets and the math of our good value model portfolio. Share ideas about my good value portfolio. My personal investment portfolio comes from a continual analysis of international stock markets and a comparison of their value based on current book to price, cash flow to price, earnings to price, average dividend yield, return on equity and cash flow return. These markets have been chosen based on four pillars of valuation. Learn how to use Country ETFs to easily construct a diversified, risk-controlled, equally weighted representative country portfolios in all of these good value countries. To achieve this goal my portfolio consists of Country Index ETFs that track an index of shares in a specific country. These country ETFs provide diversification into a basket of equities in the good value countries. The expense ratios for most ETFs are lower than those of the average mutual fund as well so such ETFs provide diversification and cost efficiency. This is an easy, simple and effective approach to zeroing in on value because little management and guesswork is required. You are investing in a diversified portfolio of good value indices. A BUY rating for an index does NOT imply that any stock in that country is an attractive investment, so you do not have to pick and choose shares. You can invest in the index which is like investing in all the shares in the index. All you have to do is invest in an ETF that in turn invests passively in all the shares of the index. Learn the results of a $80,000 share purchase cost test that found the least expensive way to invest in good value. The keys to this portfolio are good value, low cost, minimal fuss and bother. Plus a great savings of time. Trading is minimal, usually not more than one or two shares are bought or sold in a year. I wanted to find the very least expensive way to create and hold this portfolio so I performed a test. Research put every part of this portfolio in place, except knowing the best, easiest and least expensive way to buy. A search for an optimal way to buy and hold boiled down to two methods. One tactic to test was to use a unique online broker that appeared to offer the lowest cost deal. The other approach was to use a community bank in Smalltown USA. The small town bank that I use looks after my 401K trust account and their service is first class. The benefit of small banks is that they still treat us as a human beings (instead of a number) and when we need, it’s easy to go right to the top to answer a question or get a problem resolved. There are no call centers and the bank and the person looking after my account is just around the corner. I created a test to see which offered the least expensive service. Working with my banker in Smalltown USA, I created two accounts, one at the online broker and the other at the bank. I placed $40,000 in each. I set up the order for the country ETFs online, while my trust manager set up orders for the identical amounts of the same shares in his system. Then we got on the phone, coordinated our timing and on a count of three each pushed the button “BUY”. The results of this test show how you can gain on any purchase of country ETFs. In this special offer, you can get this online seminar FREE when you subscribe to our Personal investing Course. Subscribe to the first year of The Personal investing Course (Pi). The annual fee is $299, but to introduce you to this online, course that is based on real time investing, I am knocking $102 off the subscription. Plus you receive FREE the $29.95 report “Three Currency Patterns for 50% Profits or More”, the $39.95 report “Silver Dip 2017” and our latest $297 online seminar for a total savings of $468.90. Enroll in Pi. Get the basic training, the 46 market value report, access to all the updates of the past two years, the two reports and the Value Investing Seminar right away. #1: I guarantee you’ll learn ideas about investing that are unique and can reduce stress as they help you enhance your profits through slow, worry free, easy diversified investing. If you are not totally happy, simply let me know. #2: I guarantee you can cancel your subscription within 60 days and I’ll refund your subscription fee in full, no questions asked. #3: You can keep the two reports and Value Investing Seminar as my thanks for trying. You have nothing to lose except the fear. You gain the ultimate form of financial security as you reduce risk and increase profit potential. Subscribe to Pi now, get the 130 page basic training, the 120 page 46 market value analysis, access to over 100 previous Pifolio updates, the “Silver Dip 2017” and “Three Currency Patterns For 50% Profits or More” reports, and value investment seminar, plus begin receiving regular Pifolio updates throughout the year. Subscribe to a Pi annual subscription for $197 and receive all the above. Your subscription will be charged $299 a year from now, but you can cancel at any time. 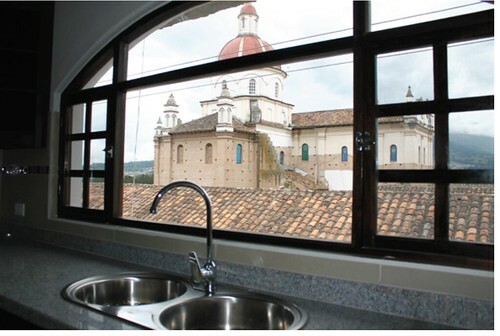 Here is a brand new luxurious two bedroom two bathroom condo for sale near the historic center of Cuenca, Ecuador. 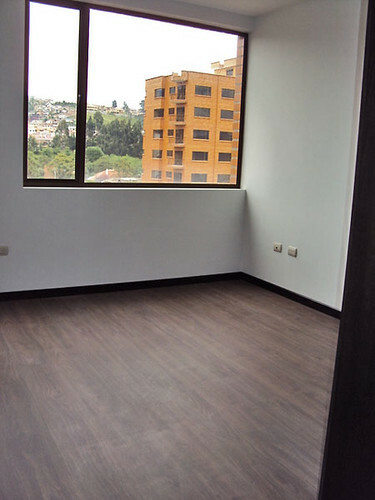 This new apartment is in a quiet, upscale neighborhood popular with Cuenca’s foreign residents. 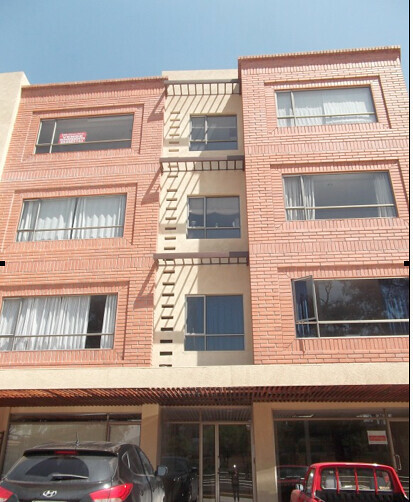 The building is just a 20 minute walk from El Centro and is right across the road from the Tomebamba River. 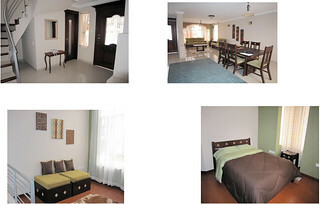 Located near the Oro Verde Hotel, the building is close to a major supermarket, shopping mall and an indigenous market. The 1170 sq ft (108 sq m) 2 bed/2 bath apartment is on the 7th floor and has its own balcony with partial river and city/mountain views. 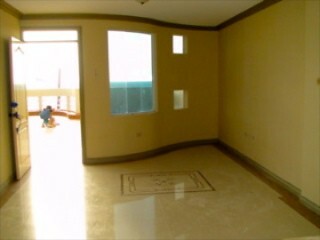 All rooms, including the kitchen, have large windows with great views. The kitchen has an elegant feel, with dark brown (espresso) wooden cabinetry, offering plenty of storage, and granite counter tops. 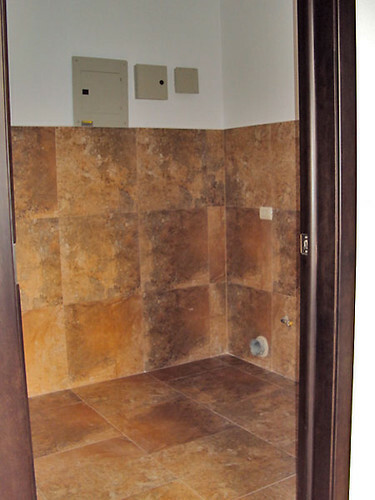 Flooring is tile in the kitchen and baths and floating wood in the living area and bedrooms. 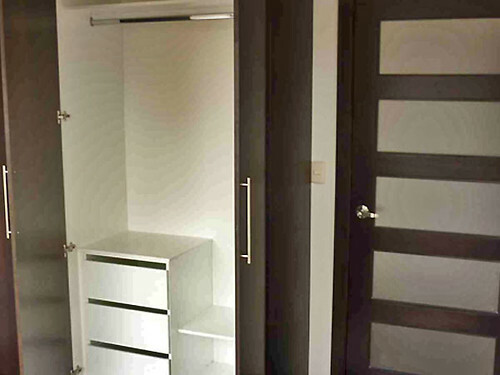 Both bedrooms have built-in closets. 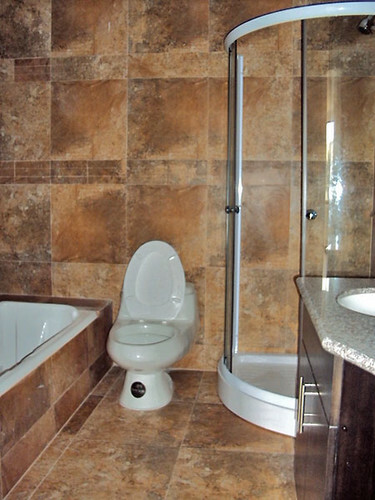 Both bathrooms feature granite countertops and the master bathroom has a separate shower and luxurious 2-person soaker tub. 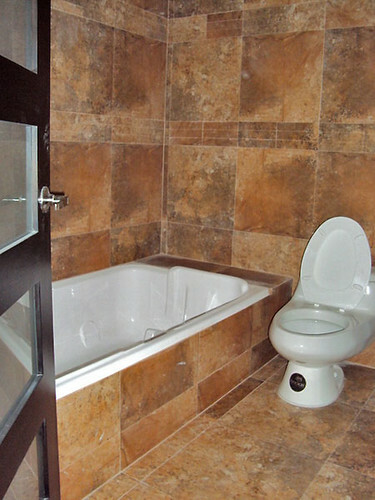 The condo also features a laundry room/pantry and the building offers 24-hour security. Included in the price is a bodega and parking space. Please contact Shona Paget by email – shona@crazytrails.com for more information. Please contact Shona Paget by email shona@crazytrails.com – for more information. 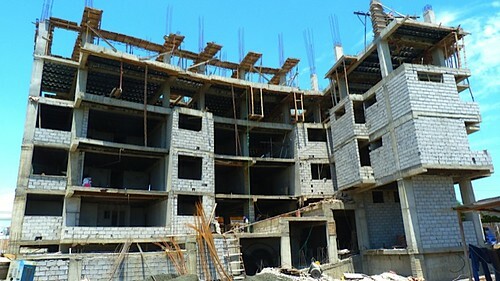 We DO NOT investigate properties when they are advertised so be sure to complete your due diligence and always use an independent Ecuador attorney who represents you (not the seller) when you buy real estate in Ecuador. 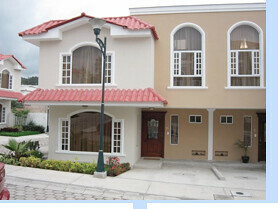 We also recommend that you rent before you buy and become familiar with Ecuador. Prices are likely to rise everywhere in the USA as the Federal reserve considers creating inflation to ignite the US economy. 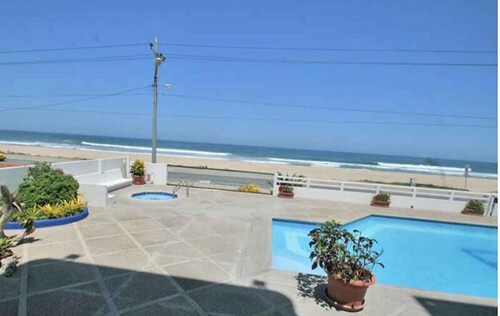 Ecuador prices have been rising but there are still some great bargains especially on the beach… like this condo. 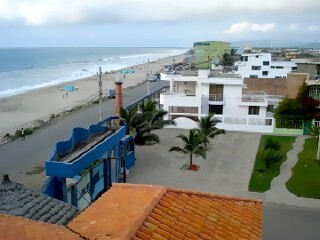 Here is a Salinas Ecuador ocean view condo at $47,000. provides clue when it says: The US Federal Reserve considered a new round of quantitative easing as an option at its September monetary policy meeting, suggesting that “QE3” is still possible if the economy weakens further. “A number of participants saw large-scale asset purchases as potentially a more potent tool that should be retained as an option in the event that further policy action to support a stronger economic recovery was warranted,” say minutes of the meeting, released on Wednesday. At the September meeting the Fed launched “Operation Twist” – a $400bn programme of selling short-dated and buying longer-dated Treasuries – in an effort to drive down long-term interest rates and support a failing economic recovery. But the minutes suggest there is still an appetite on the rate-setting Federal Open Market Committee for more measures to support growth. While three of the 10 FOMC members voted against Twist, the minutes reveal that two other members thought that the outlook supported stronger action, and voted for Twist only because “it did not rule out additional steps at future meetings”. The minutes also show that the FOMC is debating extensive changes to its communication policies. “Most participants indicated that they favoured taking steps to increase further the transparency of monetary policy, including providing more information about the committee’s longer-run policy objectives and about the factors that influence the committee’s policy decisions,” the minutes say. That could mean setting an explicit inflation objective for the Fed, something long favoured by chairman Ben Bernanke, but held back by internal disagreements and the need for support in Congress. (Bolds are mine). 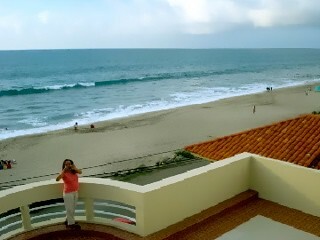 So this Ecuador ocean view condo looks like a good value priced at $47,000. The seller of this unit writes: This condo has 700 square foot and is on the 4th floor. 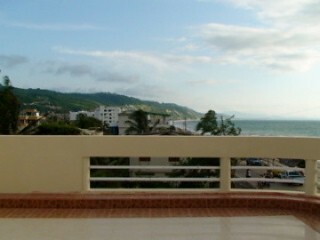 This is a one bedroom unit with ocean views, one block off from Salinas beach. The location is within walking distance of several expat establishments, restaurants, shops and entertainment. 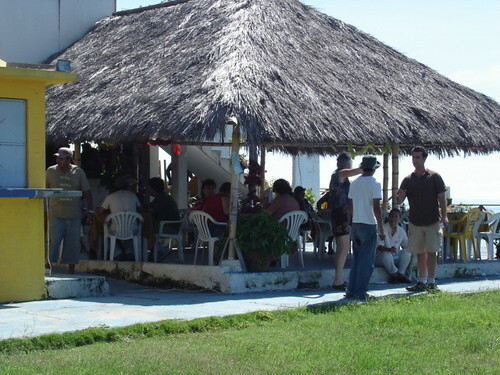 It is located near the Malecon, near plenty of social activity but in a quieter part of town. Inside the unit, there is an open floor plan in the living/dining and kitchen area, one and a half baths and of course the bedroom. Included with the condo are one parking space and a storage bodega. The building has a live-in caretaker. The price of $47,500 includes furnishings, excluding artwork and personal items. Please be aware that this is a walk-up (no elevator), but at a price that is virtually impossible to find for 700 square feet with an ocean view. Inflation is everywhere so owning real property purchased at a good value is one way to protect against the erosion of purchasing power. 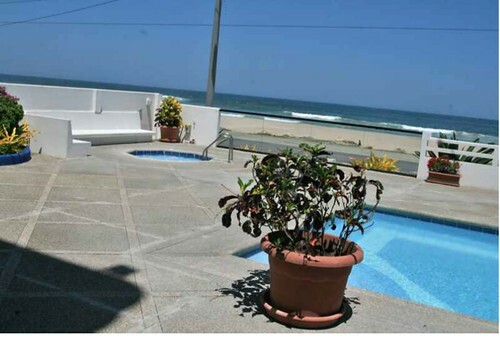 Ecuador Living Club members can obtain seller details for this Salinas Ecuador ocean view condo at their password protected site by clicking here. See how to get an Ecuador Living Club password here. 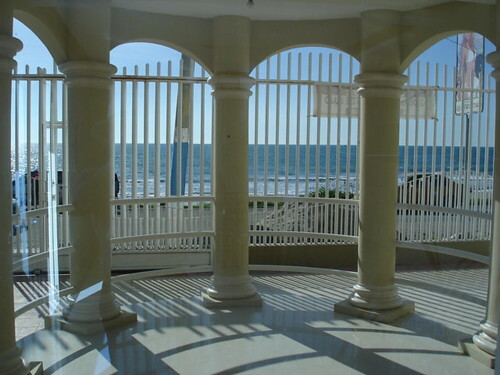 Learn how to see this Salinas Ecuador coastal property and much more on an Ecuador real estate tour. 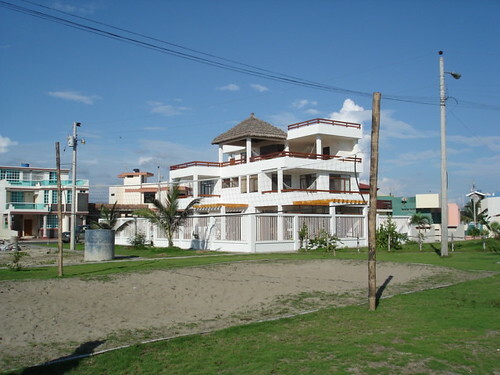 Here is a Crucita, Ecuador beach front condo for sale. See how to have your international investment questions answered by phone below. 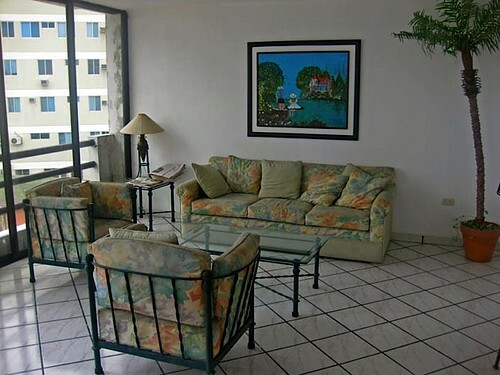 First, see this Crucita beach condo for sale. 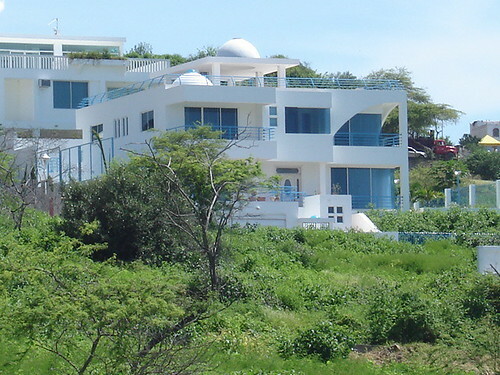 Finding value is really important today and real estate value on Ecuador’s coast is special… especially from Manta north. 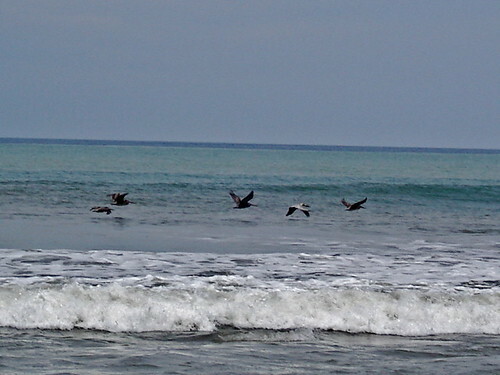 From Manta to Bahia de Caraquez Ecuador, there are two good beach areas to see. Crucita is the first. Sign up for a FREE Bahia report at the end of this message. This wonderful beach runs all the way to San Clemente (where we have our penthouse). The point in the far distance is San Clemente. 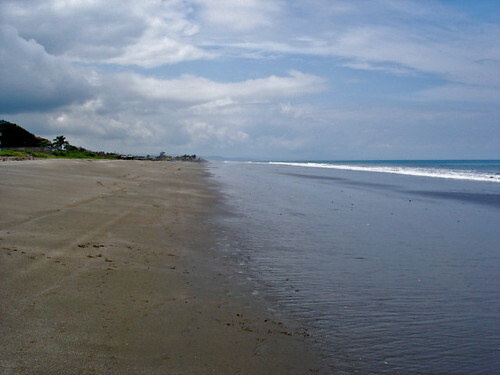 From Crucita, there are many miles of empty beach walking. At low tide, you can walk round the point and then walk even more miles all the way to Bahia. Back to Crucita. Many of our readers live here. We helped many buy lots for these houses about 15 years ago. Down the hill in the village, there are some very nice condos on the beach. This one is for sale. This is a resale from a reader who purchased on a real estate tour years ago. Beach views from this condos are nice. 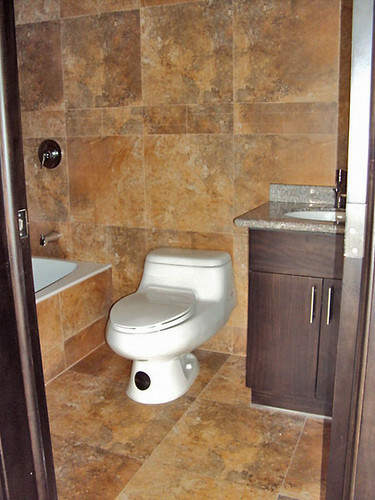 This is a smart looking unit purchased by a real estate tour delegate who is recovering from a major medical treatment. I thought this was one of the nicest condos I have seen inside. 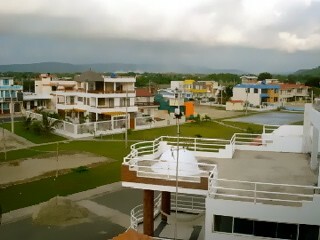 This is next to a good neighborhood surrounded by large Ecuador beach houses. From this point of the beach you can walk on the beach for hours. Enjoy the sun, salt, sea and wild life. 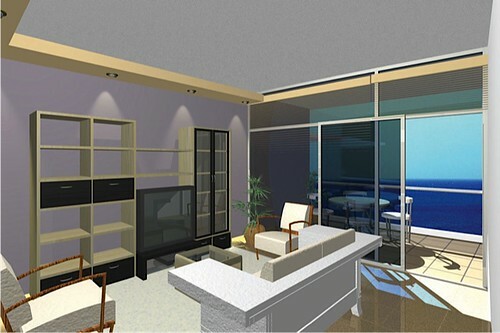 The living area is 98.50 square meters (1,060 square feet) and with the balcony totals 155.25 square meters. (1671 square feet). It is the top unit in a 3 unit building. There are not and cannot be any structures between this Ecuador beach condo and the ocean. Many readers have global investing questions that we are planning to answer for you over the phone. We are adding to our Global Personal Portfolio service a telephone service. You email me your questions. We will review them with Thomas Fischer at Jyske Global Asset Management and then answer them in a telephone call. We’ll send you the recorded call at the end of the month. The first call will be sent to you June 30, 2011. I need your phone calls before June 20, 2011.
Who is eligible to ask and to listen in to the call? This service is free for all subscribers to our annual Multi Currrency Service. Not a Multi Currency subscriber? Learn how to enroll here. Non Multi Currency subscribers can enroll to have their questions answered for a one time charge of $9.99. Thomas Fischer is Senior Vice President of Jyske Global Asset Management. 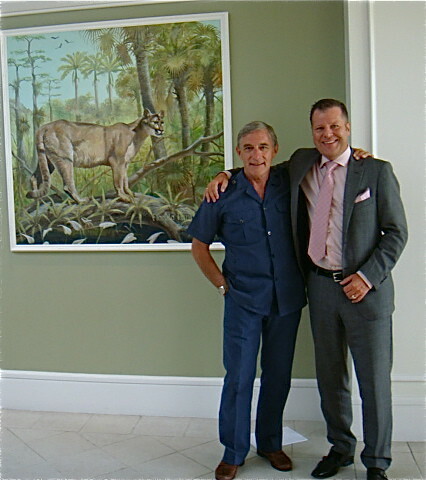 Thomas Fisher & Gary Scott at the Jyske Global Asset Management conference, Naples, Florida. Thomas began his banking career in 1975. In 1978 he started in the trading room as a Foreign Exchange dealer, and spent the next 22 years on the telephone trading currencies. During this trading career he spent 2 years in London and 10 years in Germany where he was head of the international currency section of a major German brokerage company. During his time in Germany he successfully completed an MBA focusing on the external environment and corporate finance. 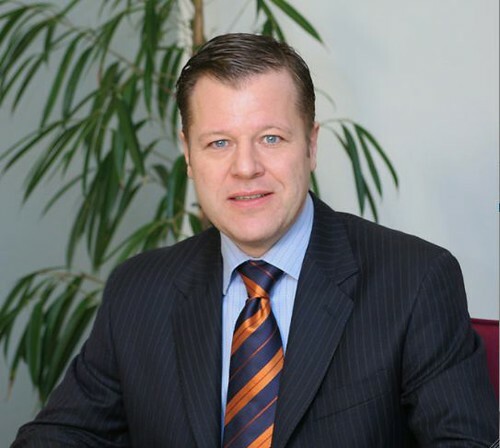 In 2000 he joined Jyske Bank Private Banking and was promoted to Manager of International Client Relations in 2001. In 2008 Thomas joined the newly established Portfolio Management Company Jyske Global Asset Management (JGAM), as a Senior Vice President. He is a member of JGAM’s Investment Committee focusing on our Foreign Exchange strategy. He travels the world giving presentations about the markets and the investment opportunities. 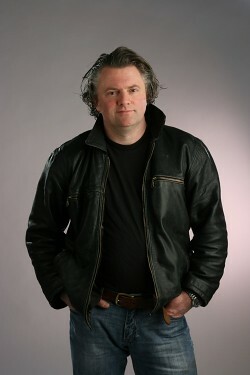 Better still meet Thomas Fischer this June 24 to 26, 2011 in person at our International Investing seminar. 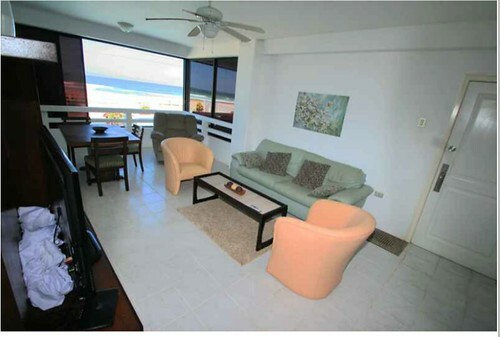 Here is a Manta Manta Ecuador beach condos for sale. 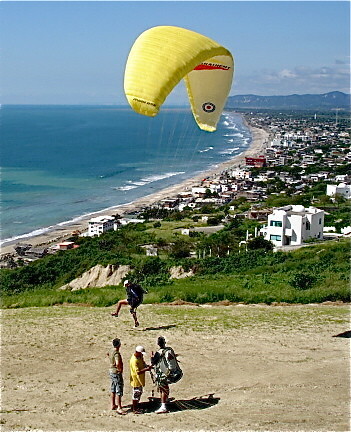 Manta is the center of the Ecuador coast and currently the only city on the beach with its own airport. 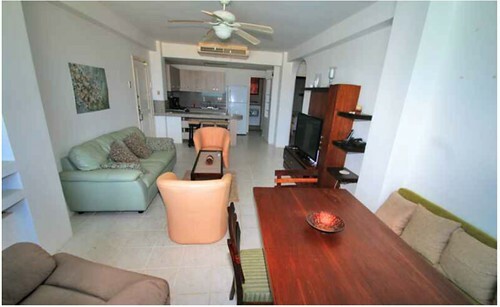 Many of our readers who takeEcuador real estate tours find Manta condos an excellent value and enjoy life there. So we are happy to have this paid advertisement for these Manta beach condos. 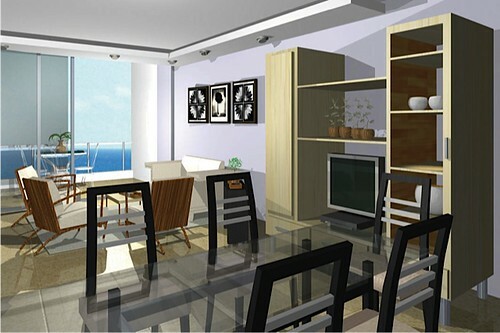 Architect’s computer generated rendition of how these Manta condos will look when they are complete. Every now and then there comes a great deal that really requires us to stop and take a look. Nerea is the right choice for our customers due to the combination of three major advantages it presents: location, quality of design and construction, and prices. 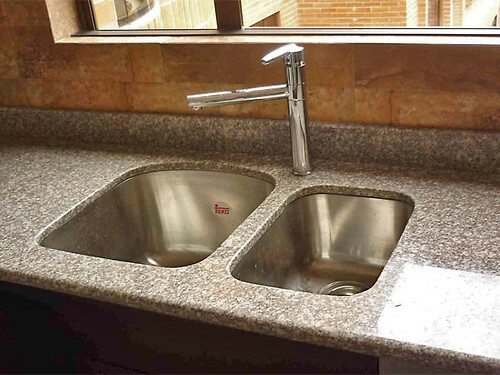 All of them, backed up by the professionalism and experience of Atiaga & Iturbide, the Quito-based development firm. Manta’s anthem refers to the city as “Nereid” in a warm tribute to its people. The Nereids were mythological figures of the sea, endowed with remarkable beauty and friendliness. Our project NEREA, therefore, honors such allusion. 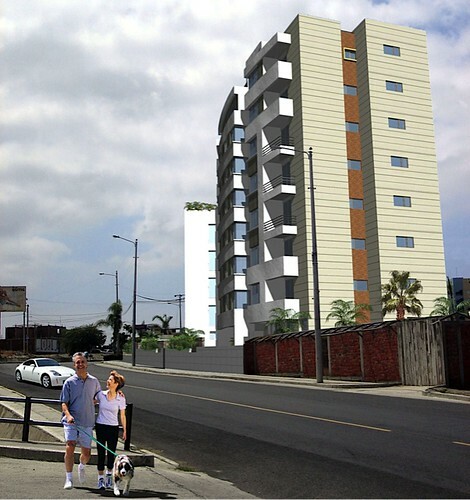 The building is located in the Barbasquillo area, which is the new area of up-scale residential developments in Manta. It is conveniently close to downtown, yet distant enough to allow a quiet retreat. Recent investments in the area have resulted in increased property values for current and future owners. 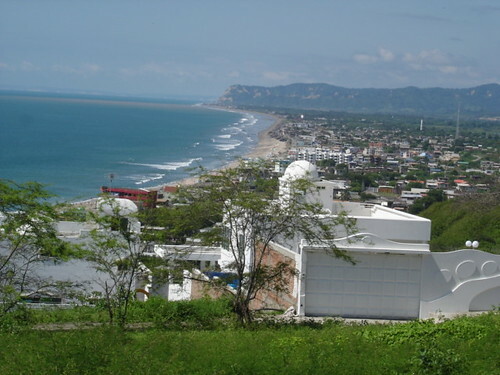 In addition to the pleasant weather of Manta, Barbasquillo enjoys an unobstructed view of the Pacific, which has been considered in the design of Nerea. Atiaga & Iturbide is a Quito-based firm, seriously oriented to satisfying clients’ needs with high attention to architecture design. The distinguished design of Nerea is the result of US-trained professionals, who have enthusiastically worked to make Nerea unique in Manta. Nerea is an 8-story development and the only building in town with apartments that run front to back, to allow ocean view in every apartment. 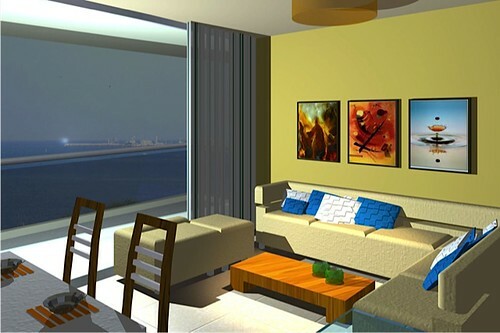 The social areas in each apartment are oriented towards the ocean, with large windows that slide to extend the interior area into a private terrace. 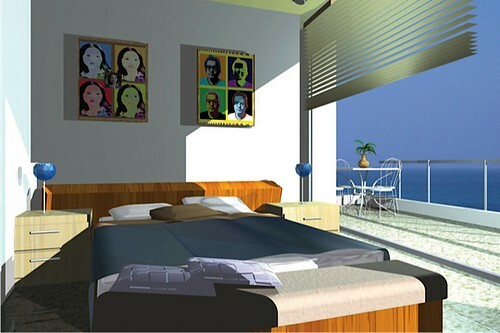 Bedrooms are set in the back, with sufficient windows to light the interiors, without excessive heat. 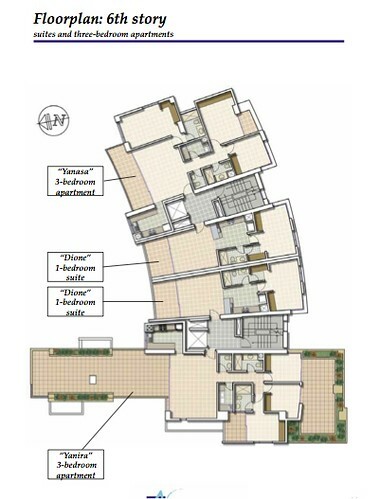 The layout also allows for natural ventilation of the apartments, thus reducing the need for air conditioning. In addition to the 32 apartment units of 1, 2 and 3 bedrooms, the condos are complemented with two elevators, a pool and deck area, hot tub, meeting room, and 24 hour security. 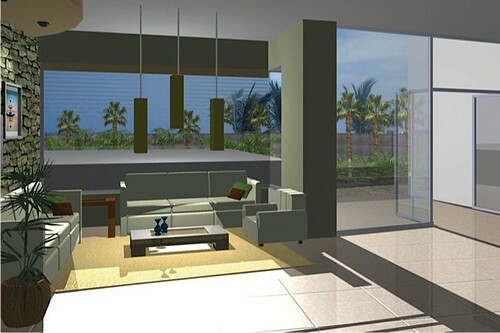 The entrance hall includes an elegant lobby and lounge areas. The top terraces are designed to keep a/c condensers and TV satellites in an ordered fashion, to prevent their location on the building’s facades. Additionally, 48 parking spaces and storage rooms are laid out in two underground levels. 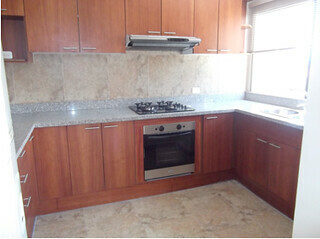 Nerea is an opportunity to acquire value-oriented property. Not only is this one of the best built buildings in Manta, but it is priced thousands under the current offerings. Sale prices per square meter (appx. 10 square feet) in Nerea are on average $850, ($85 a square foot) while competitors in the same area start at $1200 ($120 per sq. foot). Our price strategy is feasible since the development is 100% financed and 30% of the units have been sold by the end of April 2011. 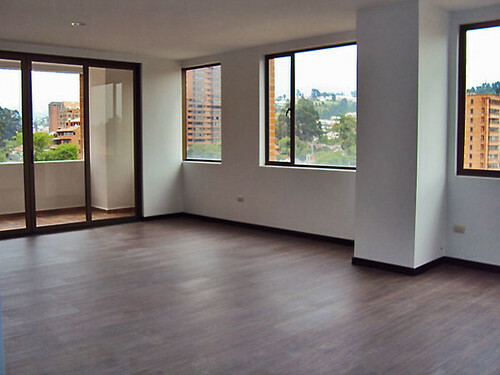 Atiaga & Iturbide can therefore offer flexible conditions for apartment financing to final owners. 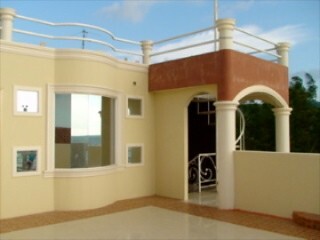 Typical financing plans consist of a) a front deposit of minimum 10% of the price in order to hold the apartment; b) a second payment through April 2012 consisting of monthly installments previously agreed by the parts; and c) a final payoff at the time the property title is signed between the parts. In proportion to the amounts paid through April 2012, clients are subject to considerable discounts (i.e. an 80% paid off by April 2012 is subject to a 10% discount). Nerea is also qualified by local banks, both public and private, in order to offer further financing alternatives for our valued clients. 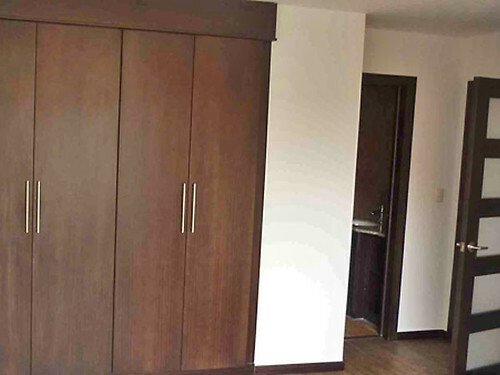 Nerea offers 1-bedroom suites, and 2- and 3-bedroom apartments. Only the 3-bedroom apartments are offered up to two parking spaces and storage space, while the others are offered up to one parking space and storage space. 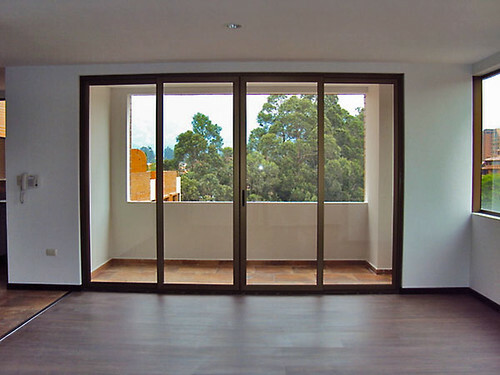 Our top-quality-based standards include porcelain and ceramic tiles in floors and kitchen, and bathroom walls; wood-paneled doors; MDF cabinetry in kitchens and closets; glass and aluminum in windows and balcony railings. Water heating is electrical (heater provided). Appliances (including a/c condenser) are not included. A full list of finishes is part of the sales contract. All non-standard finishes and extra works required by the client come to a cost to the client, and are also part of the sales contract. Construction is expected for successful completion in May 2012. See more on the importance of Manta here. 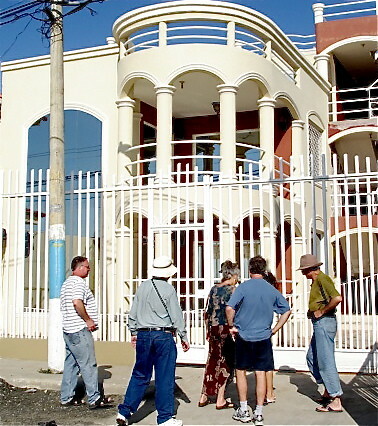 Visit Manta and Bahia on an Ecuador coastal real estate tour. 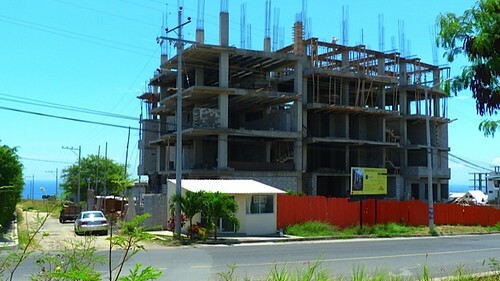 Learn about Ecuador real estate at our June 24-26 International Business & Investing seminar.